Chennaiyin FC is an Indian football club which plays in the Indian Super League as the franchise from Chennai, Tamil Nadu. They came into existence in 2014, during the inaugural season of the Indian Super League. The club has earned the nickname ‘Marina Machans’ due to their home stadium which is the Jawaharlal Nehru Stadium, although it is popularly called the Marina Arena. The Chennai based franchise is owned by Abhishek Bachchan, Vita Dani and Mahendra Singh Dhoni. 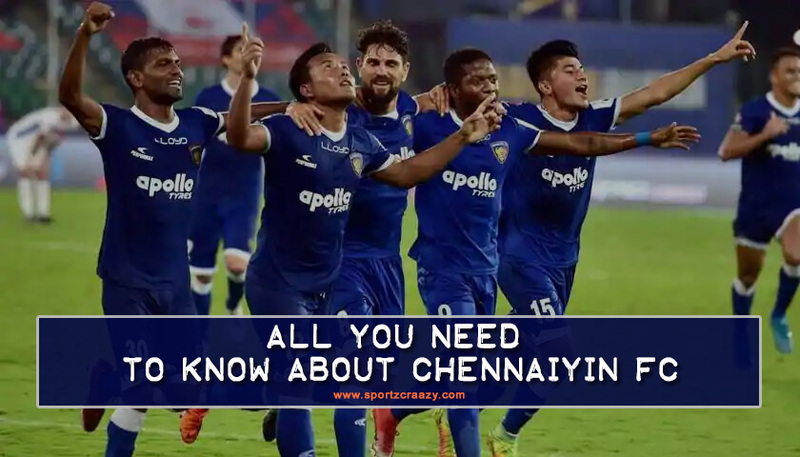 Chennaiyin are the current reigning champions of the Indian Super League, and hold the record of being the joint most successful team in the competition with two titles in 2015 and 2017-18. The only other team with two titles are ATK. Chennaiyin FC’s name literally means Chennai’s own club while the logo of the club features the Dhrishti Bommai which denotes the end of negativity and the preservation of positivity as per Tamil culture and norms. The franchise was established before the start of the inaugural season of the Indian Super League. The new league would allow eight franchises from different cities and Chennai were about to miss out playing in the league due to confusion regarding the ownership. Bollywood actor Abhishek Bachchan along with Vita Dani soon stepped up their efforts and finalised the Jawaharlal Nehru Stadium as the club’s home ground. Later on, in September, Italian World Cup winner Marco Materazzi was unveiled as the player-manager. Then Indian team captain MS Dhoni soon came aboard the ship and was declared as the third joint owner in the venture. On 9th October the club launched their official jersey and announced that real estate developer Ozone Group had been roped in as the official shirt sponsors for the first season. 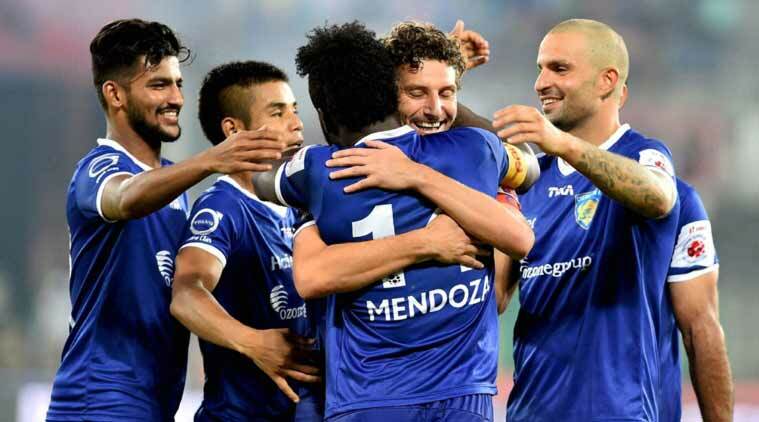 Chennaiyin FC started their first Indian Super League season with a brilliant win over FC Goa. Soon, positive results started to follow and the club also managed to rope in former World Cup winner Alessandro Nesta, who came out of retirement to don the blue of Super Machans. The club finished that season in the first place during the league phase. In the knockouts, the team lost the first leg 3-0 to Kerela Blasters but managed to script a fairy-tale like comeback in the second semi-final. However, the two teams couldn’t be separated in normal time and extra time soon followed. Chennaiyin FC fans’ hearts were soon broken as Stephen Pearson scored three minutes prior to the final whistle, sending Kerela in to the final. The Marina Machans decided to retain six players for the second season of the ISL namely, Balwant Singh, Jayesh Rane, Dhanachandra Singh, Jeje Lalpekhlua, Harmanjot Khabra and Abhishek Das. On the last day of the transfer window they also signed Stiven Mendoza who would go on to be their best player for that season. Chennaiyin started the season with two defeats but then bounced back to wins against Mumbai City Fc and FC Goa. They then lost the corresponding three fixtures, and by third week of November the team lied in the last place. However, a change in fortunes soon awaited them accompanied by the good form of strikers Stiven Mendoza and Jeje Lalpekhlua who had developed an excellent understanding. The Chennai based outfit finished 3rd in the regular season and qualified for the semi-finals. They faced ATK in the semis and managed to ease past the Kolkata giants over two legs to book a date with FC Goa. In the final, they were trailing the Goa side 1-2 but with three minutes remaining, Mendoza turned the game on its head by winning two penalties and scoring the injury time winner to win Chennaiyin their maiden ISL Championship. Mendoza finished the season with13 goals to his name and was subsequently awarded the Golden Boot. 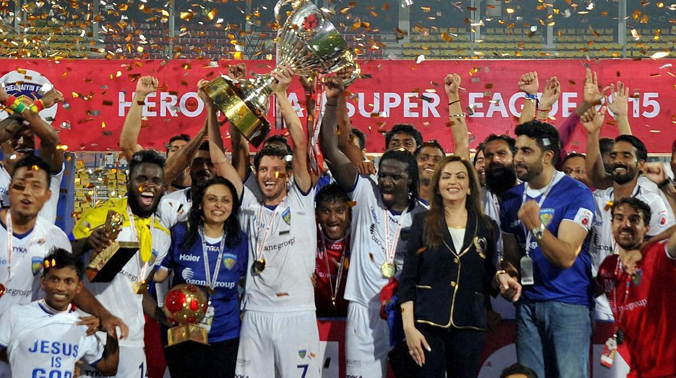 For the third season of ISL, Chennai retained their core players but could not muster up a title challenge. Indeed they could only win 3 games throughout the season and finished a disappointing seventh in the league. After that season, the franchise decided to fire Marco Matterazzi. In July 2017, Chennaiyin FC appointed John Gregory as the team’s head coach. The team had a season full of ups and downs but nevertheless managed to finish in the top 4. They overcame FC Goa in the semis and faced an uphill challenge to beat Bengaluru Fc who made the final in their maiden ISL season. John Gregory’s side ran out eventual winners after a keenly contested final and were crowned champions for the second time in the club’s history. For 2018-19 season, Chennaiyin decided to stick with John Gregory but the club have failed to build on last year’s successes as they currently lie in a disappointing 7th position with just one win from their 9 games so far. John Gregory is currently under immense pressure to turn the club’s fortunes around or else he could face the axe just like his predecessor. 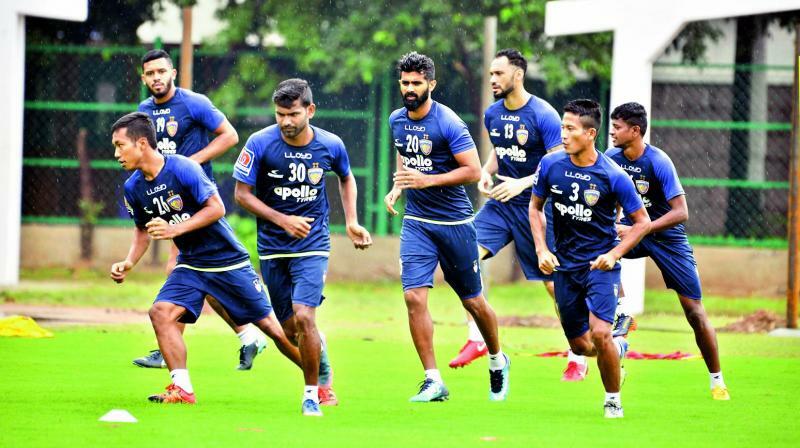 Chennaiyin FC have had some very famous players donning the blue jersey and despite having a good blend of Indian and foreign players they are not able to perform up to the mark. Nonetheless, the recruitment has been on point this season including exciting Indian prospects like Thoi Singh who has 3 goals so far. Jeje Lalpekhlua has not been at his usual best but has been a standout performer for the club in its short history. Furthermore, players like Anirudh Thapa, Dhanpal Ganesh, Jerry Lalrinzuala, Mohammed Rafi and Germanpreet Singh have experienced mixed fortunes so far. The Super Machans still have a long road ahead and while the Championship may look unlikely as of now, Chennaiyin have previously showed up good example whenever they had been pushed back to the wall. The Chennai based outfit play their home matches at the Jawaharlal Nehru Stadium which is also known as the Marina Arena. Attendances have been varying over the years with maximum attendance achieved in their second season, and it has been a downhill graph since then pushing the figure of average attendance to around the 10,000 mark. Why is Ronaldo’s Champions League Hat Trick Against Athletico Madrid a Genius Strike?